How to Get American Netflix in New Zealand? With PureVPN, you can get access to all the titles in Netflix US library, even if you are in New Zealand. 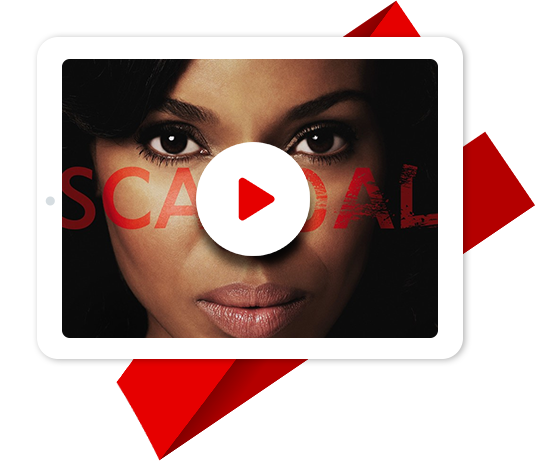 PureVPN makes your streaming experience a convenience by providing you with more options to binge-watch. Everyone has heard the name Netflix. It is the new buzz in the entertainment industry and everybody loves it for the convenience it offers. Gone are the days when people had to rely on cable operators to watch TV. Binge-watching is the new style where people enjoy on-demand TV shows and movies, all thanks to this streaming giant. The content that Netflix offers is just too much. On average there are 2,000 choices available on Netflix in different regions. Meanwhile, Netflix US, which is only available in the US has around 5,000 choices for you, and the list keeps on expanding. Unfortunately, Netflix US is not available in New Zealand. This unavailability is not due to lack of facilities or infrastructure in the country. Rather, it’s because Netflix has intentionally restricted its libraries according to all the regions it operates in. This is probably due to the fact that it allows the streaming giant to protect its content from getting pirated, or getting banned by regional broadcast authorities due to ethical non-compliance related issues. It’s a turn off to be a user of the same service, subscribe for the same plans, and pay the same amount, yet not receive the same quality of services. That’s the case for Netflix users living in New Zealand who are unable to access American Netflix just because of their physical location. How to Watch US Netflix in New Zealand? Every internet connected device has an IP address, which determines the location from which a user is accessing the internet. Streaming giants, such as Netflix, restrict content according to regions using IP addresses of its users. If an IP address of a user is based in the US, he will be able to access US Netflix. However, if the IP address is based in New Zealand, the user will be redirected to a Netflix server in New Zealand which will only have limited content available. Priced at just $3.33 P/M, PureVPN is the #1 choice for Kiwi users to change their IP address every day to access otherwise restricted content. With PureVPN, you can connect to another country’s server instantly and change your address. The best part about PureVPN is that it is optimized for streaming. It has more than 2,000 servers placed across more than 180 locations worldwide. This means you will never face any speed dropping issues that can lead to a regretful streaming experience. PureVPN is a completely anonymous VPN, which makes you completely invisible online. It allows you to evade modern day online threats such as ISP throttling, hacking, ransomware, and mass surveillance. On a PureVPN-enabled device, all data sent and received gets encrypted. It keeps your identity hidden from hackers and online monitoring authorities and eliminates any chances of raising red flags. Netflix has three standard plans for all regions. It all depends on how you want to consume the content it has to offer. Are you the kind of person who requires more than one screen? Or would you want to stream the highest possible quality? Based on what you want, you can select any of the following plans when you sign up for a Netflix subscription in New Zealand. As you can see in the table above, Netflix is priced the cheapest in Brazil. The streaming giant has a slightly different pricing plan for some regions to account for the differences in currency value and inflation rates specific to certain regions such as Brazil. To get your Netflix subscription in the lowest possible rates, you will need to connect to PureVPN and change your country to Brazil. Once done, Netflix servers will consider your location as Brazil, and hence offer you plans at a much cheaper price. The American Netflix library is one of the most rapidly growing libraries, which hosts amazing TV shows and movies that are only accessible from within the US. Every week, Netflix adds dozens of new TV shows and movies, some of which are Netflix Originals. Based almost 900 years into the future, The 100 is about 100 teenagers who are sent back to earth after a nuclear apocalypse destroys the planet, killing everyone except those who were in space. The show is a unique combination of space traveling, sci-fi, tech, and basic human instincts such as survival. The TV show producer, CW has made a deal with Netflix, which is why this show is available on Netflix. So far, the TV show has aired five seasons, and a sixth one is in the making. While all the five seasons are available on Netflix US, only four are available in other countries such as New Zealand. High school chemistry teacher Walter White gets to know that he has lung cancer and not much time left to live. Concerned about how his family will meet ends once he is gone, Walter White decides to break bad and become a crystal meth producer and distributor. From his experience as a chemistry teacher, Walter White applies all of his knowledge and creates methamphetamine that is 99.8% pure. It takes not too long for the world to notice his pure brand and start lining up to try some for themselves. Is American Netflix Available in New Zealand? Unfortunately, American Netflix is not available in New Zealand. This means that out of more than 7000 titles which are available in Netflix US, only 3400 titles are available in New Zealand. Can I Get Netflix America in New Zealand? Netflix doesn’t want you to know this, but you can access Netflix US, even though if you live in New Zealand. All you need is PureVPN. Just install and connect PureVPN to a US server and access everything from Netflix US library. What’s so good about US Netflix? The US Library of Netflix is the oldest of them all. Naturally, the number of titles in Netflix US library are much more as compared to any other region. Moreso, the titles that are only available in the US are much better when it comes to content, plot, and story lines.This is because US has the most lenient laws related to broadcast ethics, and allows high degree of profanity, violence and other forms of expressions which may be unsuitable for diverse audiences. Netflix US Vs Netflix New Zealand: How much does it Cost? Are there any Netflix New Zealand Alternatives? Two great services in New Zealand that can actually be good alternatives to Netflix are Google Play Movies and Sky Movies. For both the services, you can sign up for a monthly $6.99 where you can rent movies and TV shows.The only thing that is different among these two services and Netflix is that the number of titles available on Netflix is far higher than any other streaming service. PureVPN is the ultimate streaming VPN that can solve all your streaming related issues and give you an entertainment experience that you deserve. On top of that, it gives you the perfect anonymity, which makes you invisible and immune to all the restrictions and limitations. Install PureVPN today and enjoy restricted content from all around the world. Let there be no stopping to your binge-watching routines.